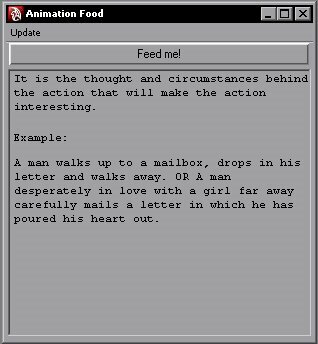 Here's another great script for animators. It's not a script that'll do something for you, at least not technically or directly to your animation. Even better, it's a script that inspires you. This is just great Bryn! Thanks! Gonna steal it to put in mine if you don't mind :P!